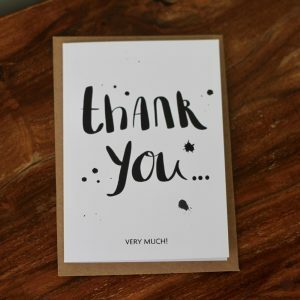 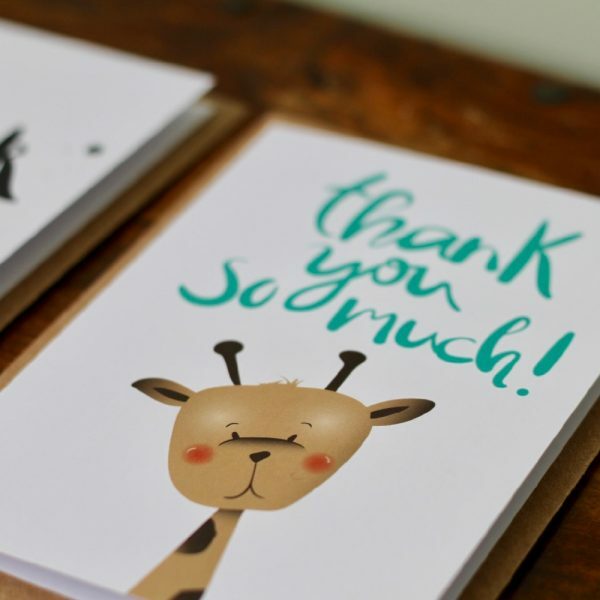 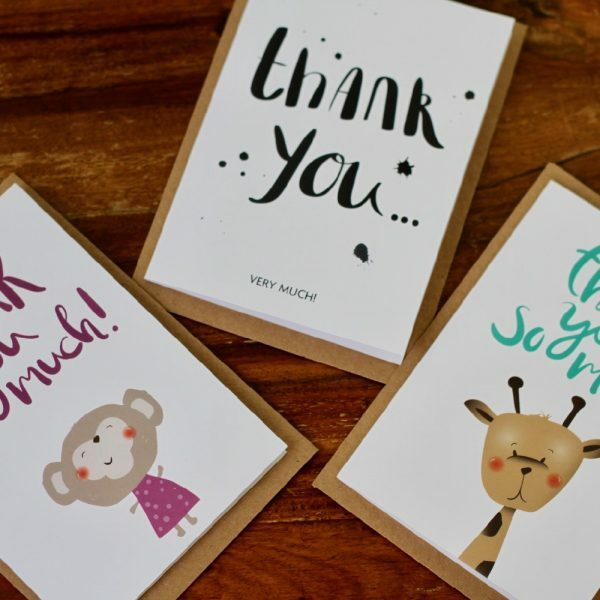 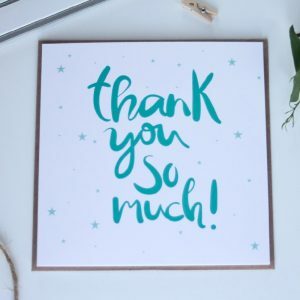 Say Thank You with these adorable cards featuring a cute hand illustrated giraffe. 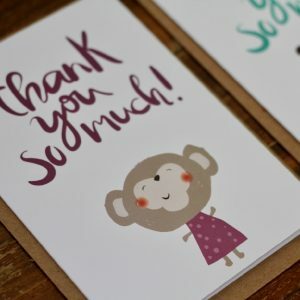 Also available with a monkey and in monochrome. 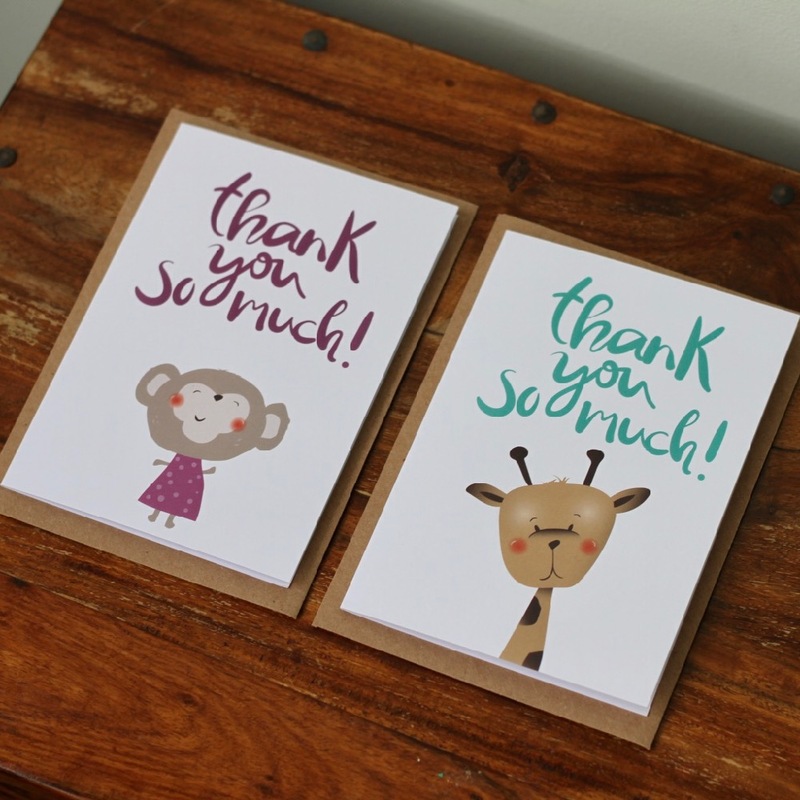 Perfect for the little ones to send to friends, relatives, teachers or anyone else that they might need to thank. 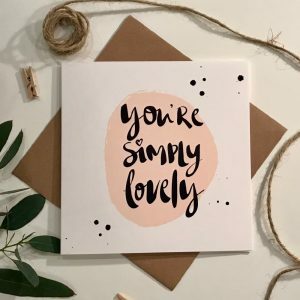 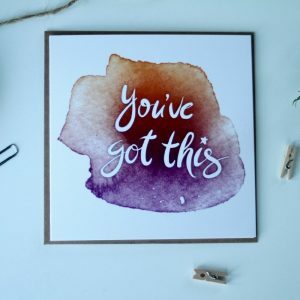 Created from original illustrations & hand lettered artwork our greetings cards are for all those who love a unique touch to typography.